I will start with a couple of mine; they are slightly blurry, my camera doesn't take a good shot and I don't have a scanner. Oh my god, I love the details on the Masquerade dress and the Think of Me gown! I'm taking that you did this by memory, right? It's quite nice, and I love to see people's doodles (esp. those on school work)! I feel terrible. It's been months since I last did a Phantom drawing. Yay! More sketches! I used to sketch a lot when I was in High School, I remember doing one of the Red Death. I wish I had it, still, it was pretty amazing. 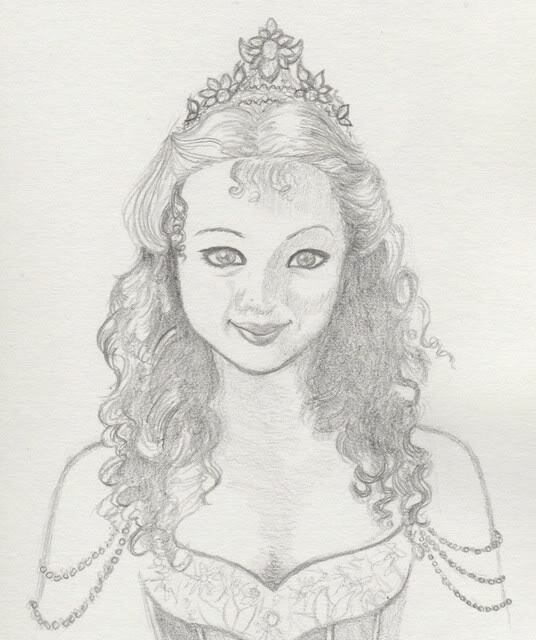 But golly, I love the way you did Gina Beck's hair, it's so life like. Just a few of my old msPaint stuff from "phantomfans.net" and "le phorum".... 2004 I can't believe it's been 6 years! The most recent stuff I did was back in 2007, just before "le phorum shut down"
Then "le phorum" shut down completely. Haven't had the heart to do any new comics (although these were my favorites and still are to this day) although with "Love Never Dies" I'm finding myself with alot more materiel... I just haven't drawn the darned things yet. Who knows! Maybe a friend or two from way back when will recognize my junk and I'll find myself inspired. It's nice to see a haven for all us who lost our friends and home in 2006/2007. I look forward to becoming reacquainted with you all. Alyssa, welcome to the forum! And wow, I love to see the creativity here. Phantom fans are so creative in general, I love to see the result. Han! It's good to see you. I used to love those cartoons--made me laugh. How are you and how are things? So good to see you too! You have no idea how comforting the blue type is. It's like coming home. I've been well, super busy, two concussions, new puppy, had a job, owner died, lost job, got a new job and still employed (whoo). How about you? Raphael wrote: Very lovely work, Alyssa! Wow, thank you so much. I've been such a huge fan of your work for forever; I even remember the old site. why is it every time i post something, no one ever answers?, if they do its nevative. First of all, double posting is frowned upon. Secondly, you haven't actually posted anything, and thirdly where are the negative comments? I don't see any. Post your sketches, I for one would love to see them! Just remember to be patient: this is a lesser-frequented corner of the board. Those are creative mask designs, Deathshead. I find it interesting that you just draw the mask; If I'm designing a mask I have to have a face, or at least the outside of the face drawn first. I made this at night when I wasn't sleepy. Never finished it. 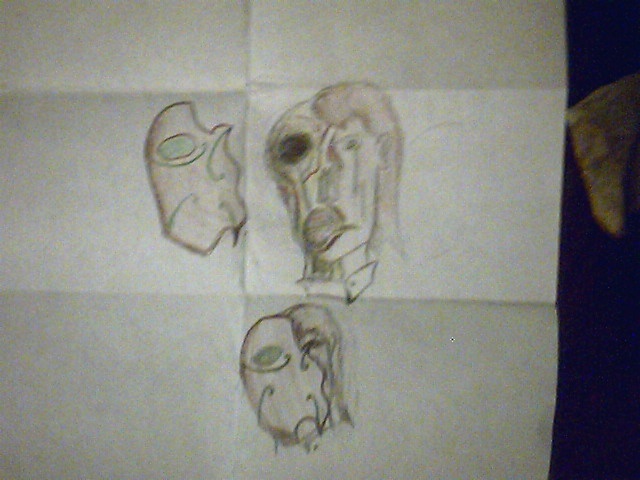 i usually do, its just, i quick scetched these to show previous masks.